A thank you to all of our employees, both new and tenured, who help us execute on our mission every day. This issue of the Pipeline showcases a number of current and historic Aldridge bridge projects. 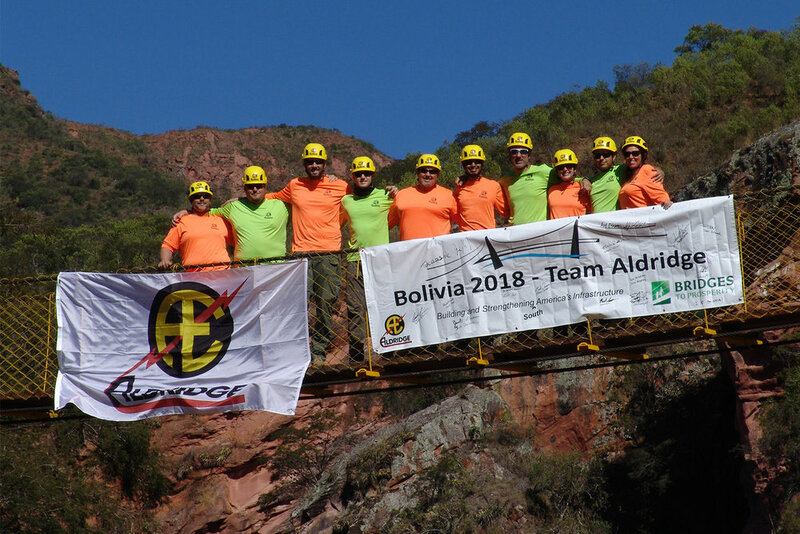 In June, 10 Aldridge employees traveled to a remote village in Bolivia to build a suspension footbridge that helps create safer access to and from the community of Santa Rosa. To download the full Fall Pipeline click the button below.